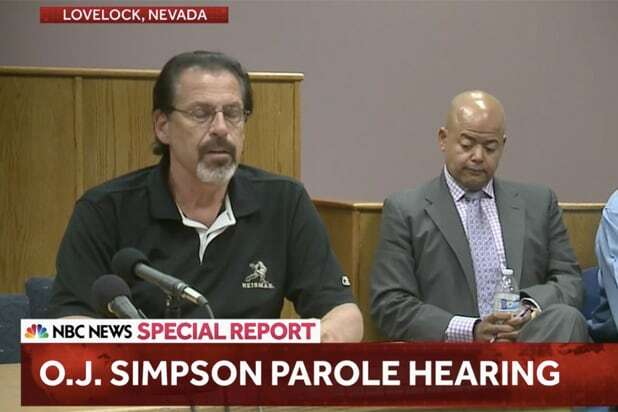 Bruce Fromong, one of the victims in OJ Simpson’s robbery case, made an interesting wardrobe choice when he testified on Simpson’s behalf at his parole hearing: He wore a Heisman Trophy shirt that recalled one of Simpson’s greatest achievements. Fromong’s black golf shirt displayed the logo of the Heisman Trophy, awarded annually to the best player in college football, as voted on by journalists, former winners and fans. Simpson himself won the trophy in 1968 while starring at the University of Southern California. A Pennsylvania man currently owns Simpson’s Heisman, acquiring it at an auction in 1999 held to satisfy debts stemming from a civil judgment relating to the deaths of Simpson’s ex-wife, Nicole Brown Simpson and waiter Ron Goldman. 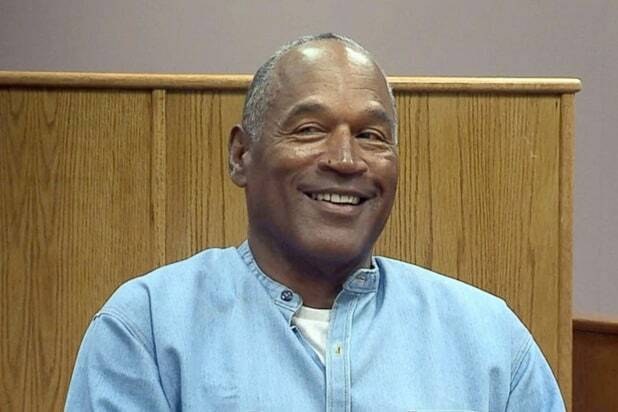 Simpson was arrested and charged with their murder, but a Los Angeles jury found him not guilty in 1995. Thursday’s hearing was to determine whether Simpson would be granted parole for the 2008 armed robbery case. A group of men led by the football star forcefully took items from Fromong and another memorabilia dealer, Alfred Beardsley. Simpson and Fromong spoke well of each other throughout the hearing. Fromong asked for Simpson to be paroled, saying that he was not guilty of some of the most serious allegations, including assault with a deadly weapon.